The Malawi Congress Party (MCP) is yet to sort out court challenges of its primary elections in several constituencies long after the issues were lodged in court. 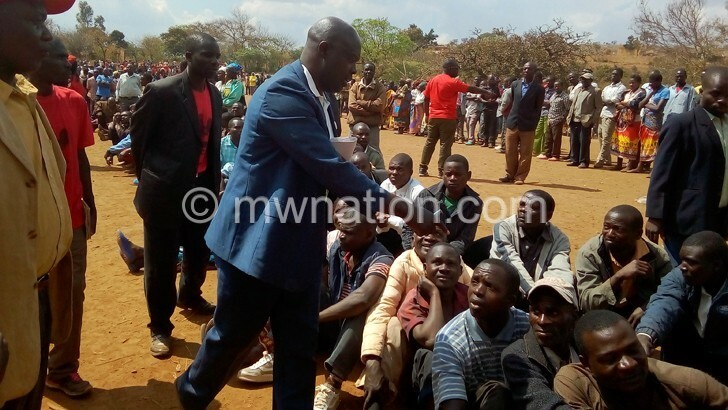 MCP is now planning to dispatch its legal team to ask the court to expedite a case in which aspirant for Dedza East aspirant Patrick Bandawe obtained an order restraining the party from declaring incumbent Juliana Lunguzi the winner of primary elections. In the order obtained two weeks ago, Justice Kenyatta Nyirenda observed that there was no indication by MCP that it intended to contest the proceedings granting the order. But MCP is yet to take action on whether they would contest the court decision to set aside the order. Apart from the Dedza East case, MCP is also yet to resolve the primaries dispute in Ntchisi South where incumbent Langton Nkhosa Kamwendo is fighting to overturn an alleged irregular endorsement of Ulemu Chilapondwa as the party’s candidate. Primaries in the constituency took place on September 11 2018 but ended in chaos after some misunderstandings among candidates, forcing presiding officer Peter Chalera to ask for a re-run in a report submitted to the director of elections Elias Chakwera but this has not taken place. In Lilongwe Msozi South Constituency, the court is also yet to determine whether the primaries result declaring Liana Kakhobwe as the winner stands. The incumbent Vitus Dzoole Mwale dragged the party to court last month to stop Kakhobwe from being issued a certificate as the winner of the primaries. It is not known when the court will make the determination on the matter as only 21 days are remaining before Malawi Electoral Commission (MEC) closes the deadline for submission of nomination papers. But MCP publicity secretary Maurice Munthali expressed optimism in a telephone interview on Wednesday that the court will do all it can to work on the issue timely as “it also understands that the matter needs to be treated with urgency since it is concerning national issues”. As aspirants have already began collecting nomination papers, Munthali said the party will humbly ask the court to consider speeding up the case to allow it move with MEC calendar as either of the affected aspirants, Bandawe or Lunguzi, is expected to submit nomination papers depending on the court’s determination. Asked to comment on the action she will take if there will be no intervention from her party, Lunguzi refused to comment on the matter because it is in the court. “I cannot comment on the issue that is in court. I cannot think about the alternative before knowing what is going on. I will comment once I get the issue,” she said. Lunguzi was declared the winner after an alleged confusion in the primary polls in the constituency on November 25 last year. Bandawe had initially been declared the winner of the elections but after Lunguzi complained of irregularities during the voting, the party declared her the winner.Since MCP began conducting primary elections on August 21 last year, there have been unresolved conflicts surrounding results.